Worldwide icon-chevron-right North America icon-chevron-right United States icon-chevron-right New York State icon-chevron-right New York icon-chevron-right Tiffany & Co. This iconic flagship sits like the crownpiece atop 5th Ave, its monolithic presence beckoning serious shoppers, browsers and tourists alike into its hallowed marble chambers. Its five floors of opulent wares (including engagement, watches, silver and gifts) stand as a testament to the famed jewelry company's classic charm and appeal. If you are a romantic movie fan, you should go to Tiffany's in order to have your Audrey Hepburn moment. The store is elegant and each floor has a different collection: casual jelwelry on the ground floor, engagement rings or house on others floors. The pieces are classical and feminine. Also, you can discover a big diamond that have been worn by Audrey Hepburn. A true NYC icon, and a must see if you're visiting from out of town. 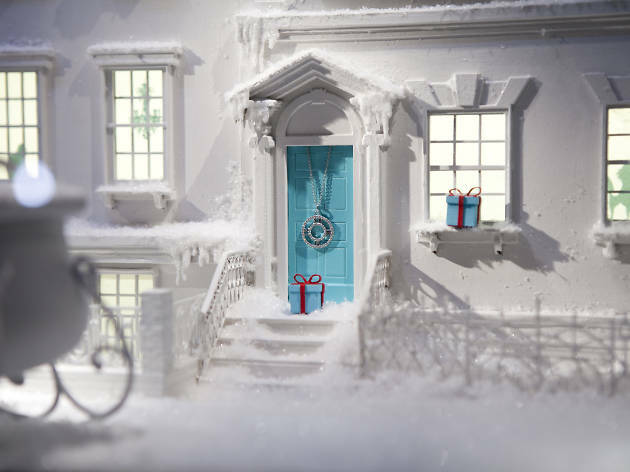 A gift from Tiffany's & Co. is classic. Now if only I could afford something here. Even though you may not be able to afford anything, I still recommend walking through just to experience this piece of old world charm in NYC. A girl can dream.